I'm pleased to say that the Q1 is now in beta testing with final tweaks and fixes taking place, so it's just left to show some pictures of the accompanying stock over the next few days as I prepare the final details of the next project. 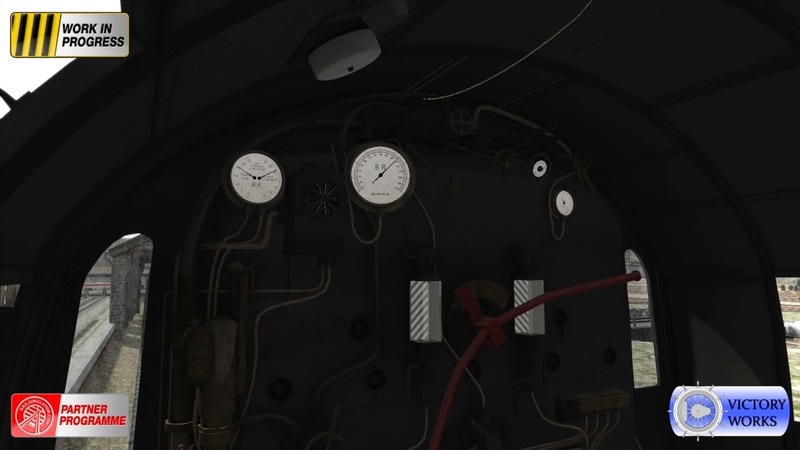 The Q1's were built in 1942 to provide much needed motive power for all of the additional freight movement that was required during war time. 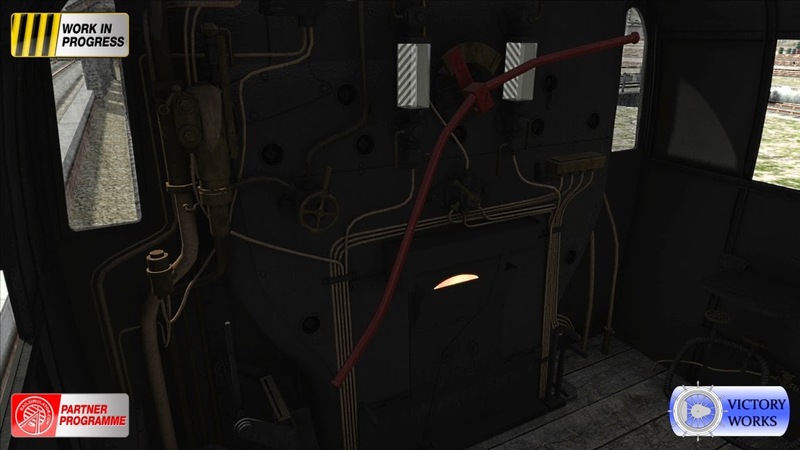 The scenarios that come with the Q1 span the era from 1942 up until "the end" in 1963 and so some appropriate war time stock was required, as well as some Southern region freight. 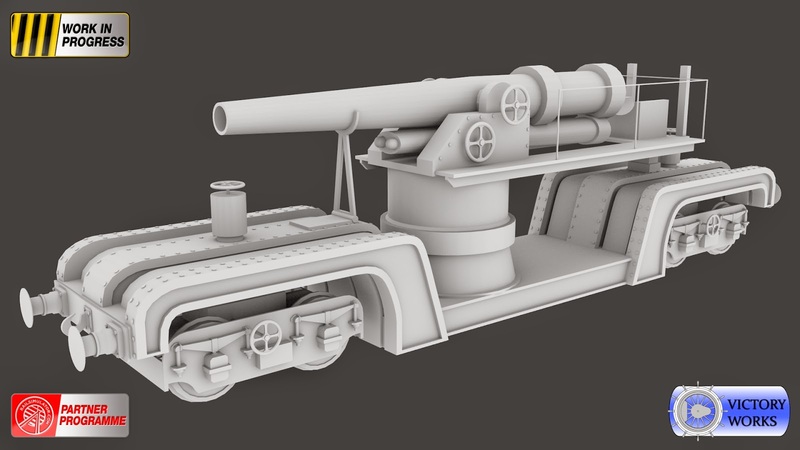 Below is a 3D render of a 12" howitzer railway gun. These were originally built for WW1 but were used again for air-defence purposes in WW2. Also a Southern Railway Warwell - a well shaped wagon designed to carry armoured vehicles, built by most of the rail companies - carrying a British Cromwell Mk5 tank. 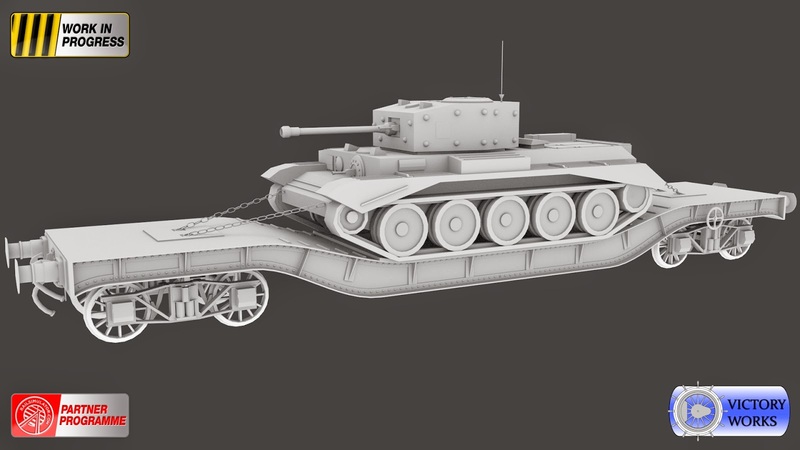 Later in the week I'll add some pictures of these in game, along with the other stock. Some textured cab pictures today. As usual, click for the full size versions. 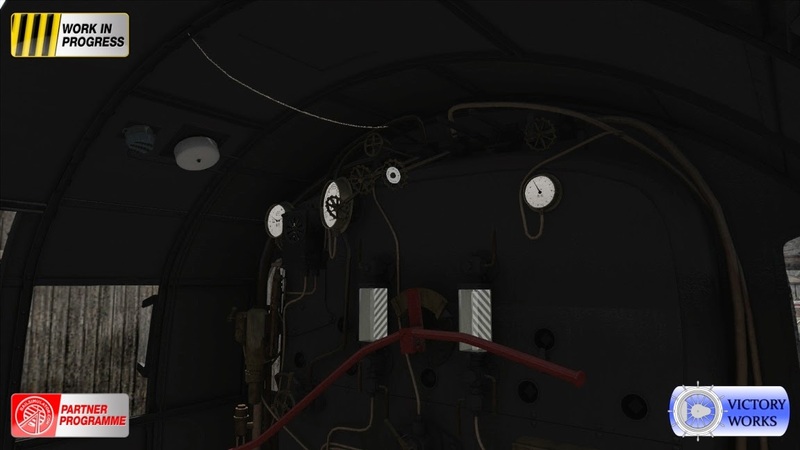 Note the unusual steam reverser lever in the bottom left of the picture, a "fly by wire" reverser control rather than the usual direct mechanical linkage. In fact as it uses steam I guess it's "fly by pipe" really! 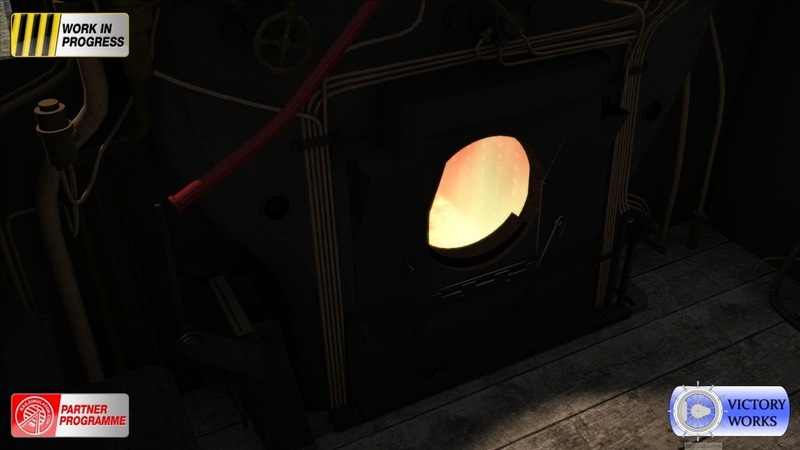 It's been bothering me that the fire glow has been static on previous locomotives so this time around I've taken some time to get a nice subtle flicker that hopefully doesn't distract but creates more of a fire effect in the cab. 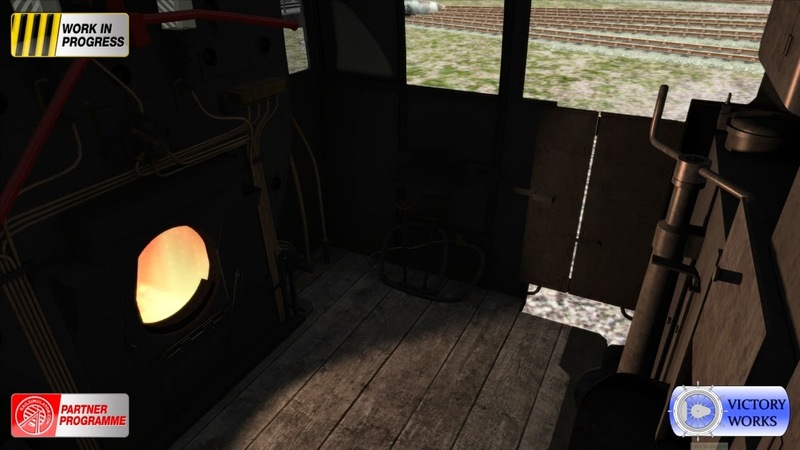 As with all my locos the coal door is used as the control for stoking and the tender also features a working handbrake, water shut off's and opening upper doors to the coal bunker. And that's about it for the moment, next time I'll add some pictures of the accompanying stock..
.. although the keen eyed amongst you may spot another new feature that can be seen in the above pictures if you look hard enough.